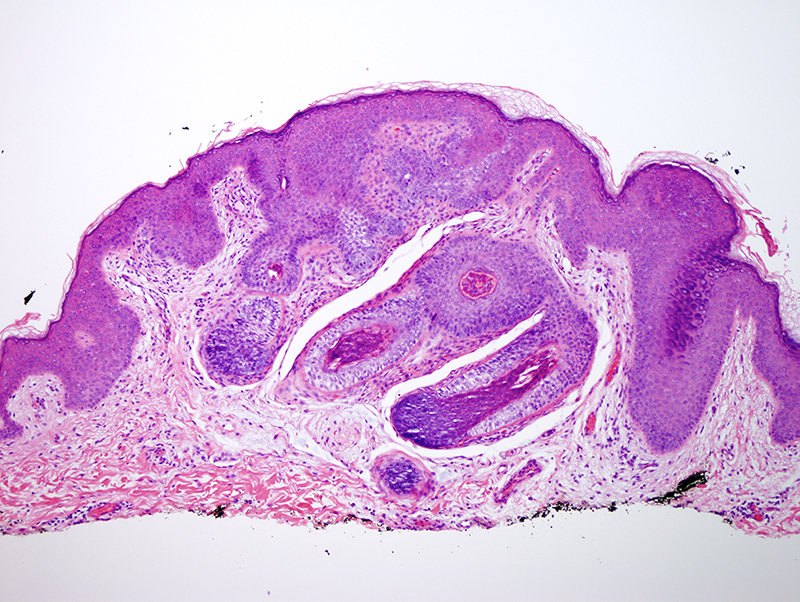 Trichofolliculoma usually presents on the face as a small tan nodule containing a central pore as well as fine hairs. 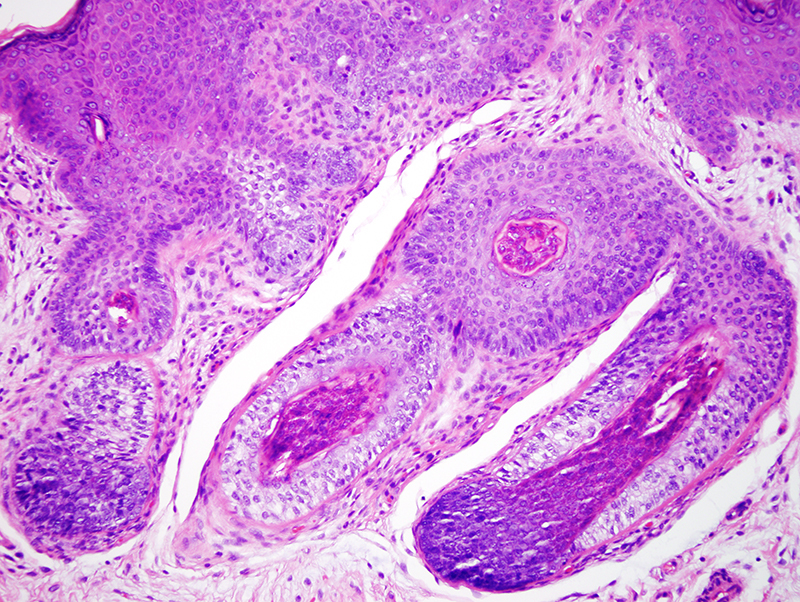 Microscopic examination reveals a circumscribed hamartomatous proliferation with a central dilated follicle with radiating smaller follicles. 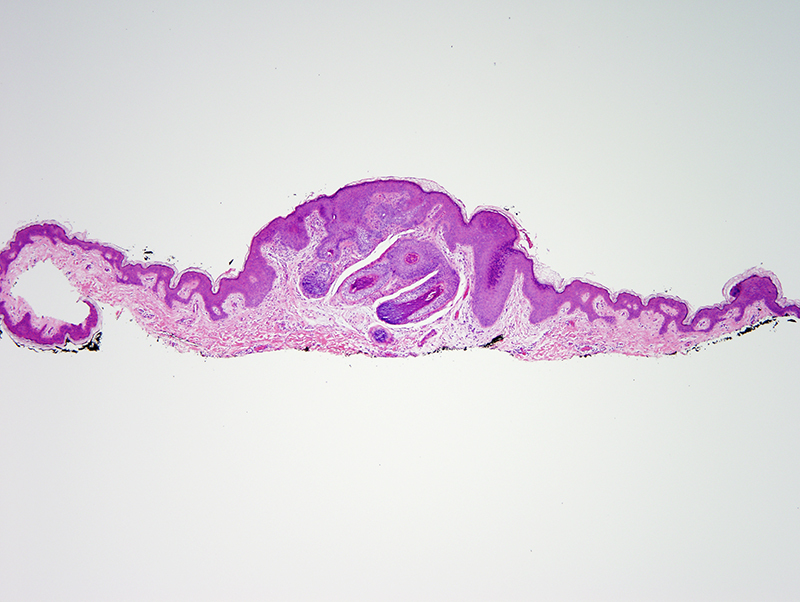 This benign lesion is often removed for cosmetic purposes.